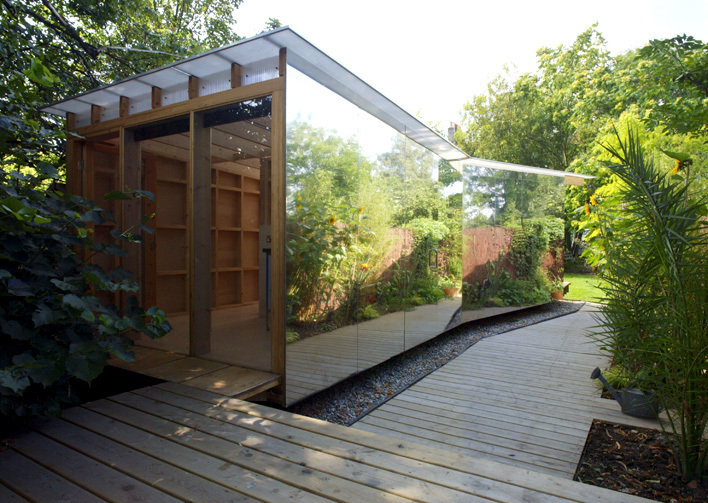 This little magical summer house was built in England in 2005 by architects Ullmayer Sylvester. It's got a very DIY interior, and the exterior is the perfect, minimalist folded mirror. The house is further accentuated by being inside such a great landscape: a thin lot with lots of decking and flowers and ornamental grasses. It also looks like it didn't cost a fortune, like anyone could have one. If they have a little slice of pretty England to built it in.